Worried about gum disease? We’re not trying to scare you, but there’s a good reason to feel that way – gum disease (also known as periodontal disease) is one of the most common health problems on the planet, as well as the leading cause of tooth loss in adults here in the United States. These soft tissues make up the essential foundation of your smile, and they need to be kept healthy. At 21st Century Dental, our team offers important diagnostic care and effective therapy options for combating gum disease at its earliest stages. Contact us today to get started with an appointment here in Las Colinas, TX! 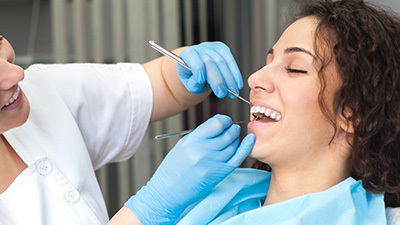 Why Choose 21st Century Dental for Gum Disease Treatment? Periodontal (gum) disease is a gradual oral infection of the soft tissue. It occurs when plaque, a sticky substance filled with harmful bacteria, is allowed to build up on the teeth over time and harden in place due to lacking oral hygiene. Left unchecked, this disease will negatively affect the gums and teeth alike, causing swelling, inflammation, bleeding, and other painful symptoms. Gum disease may seem harmless enough in its early stages – patients could see a little redness in their gums or some blood in their saliva after brushing and flossing. What’s the big deal? Unfortunately, instances of this condition that are left unchecked can grow to threaten not only your teeth, but your overall health as well. While research is still ongoing, countless studies have demonstrated notable links between periodontal disease and diabetes, dementia, respiratory illnesses, heart disease, and even pregnancy complications. With this in mind, it’s easy to see why keeping your smile infection-free is such a crucial priority. At 21st Century Dental, our dentists are always working hard to stop gum disease before it gets the chance to start. That’s why comprehensive periodontal screenings are a part of every regular checkup – by identifying harmful bacteria early on, the threat to your oral health can be eliminated simply and painlessly. If the infection is already underway, though, we also have several effective periodontal therapies that can bring back much-needed health to your smile. Scaling and root planing is the most common form of periodontal treatment. It can essentially be thought of as a cleaning that’s been taken to the next level. Our team will target bacterial accumulations around and underneath your gum tissue. We will also carefully smooth down any rough spots on your tooth roots, which are prime real estate for plaque. By taking these comprehensive steps, our goal is to help your gums regain their health and vitality. 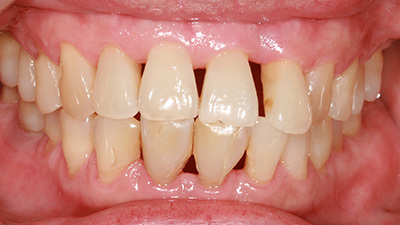 Soft tissue lasers are swiftly becoming the premier solution to treating moderate gum disease! 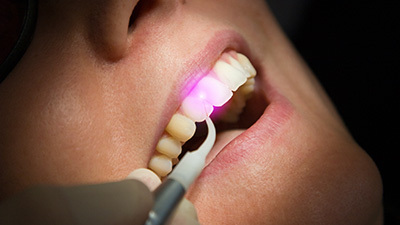 Instead of relying on traditional, uncomfortable dental tools, our dentists can use this precise beam of light to eliminate infectious bacteria and removed diseased portions of tissue. The laser has a very precise and comfortable touch – in fact, many of our patients don’t even need local anesthesia to feel at ease! Its sterilizing nature also keeps any bleeding or swelling to a minimum, and patients can expect to recover very quickly. 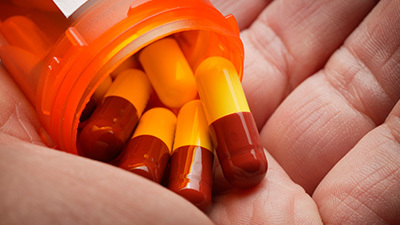 Antibiotic therapy is often recommended as a supplement to more comprehensive periodontal therapies (such as scaling and root planing or soft tissue laser treatment), helping ensure successful results. It comes in several forms, including oral medication that’s taken over a period of time and topical gel that is applied directly to the soft tissue by our team. 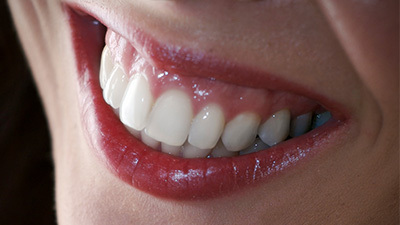 Its presence will help to reduce dangerous bacteria and even reduce the size of the periodontal pockets. A differentiating factor that sets us apart: our team utilizes OralDNA testing to determine what antibiotics will be most effective in treating your specific case of periodontal disease. 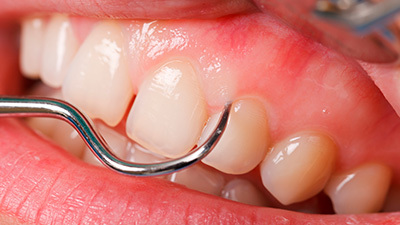 If you are experiencing severe gum disease (also known as periodontitis), a gingivectomy may be necessary. 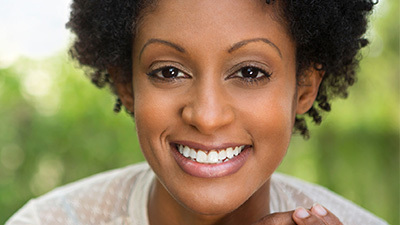 The goal of this surgical procedure is to remove and/or reshape loose and diseased gum tissue, getting rid of deep gum pockets that have formed between the teeth and the soft tissue. After treatment, patients will find it easier to practice good oral health and keep their smile safe from further flare-ups of infection.